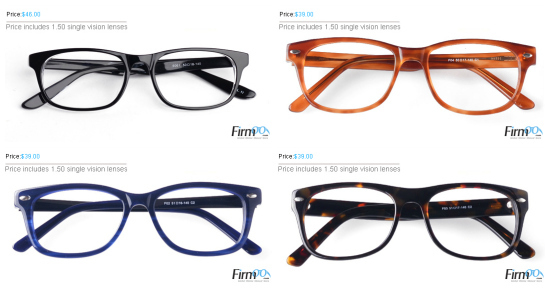 Firmoo, the World's Most Popular Online Eyeglasses Store, have always been committed to offering their customers the best quality products at the most affordable prices which start at $8 - 80%-90% lower compared to that in local store. Furthermore, Firmoo has launched First Pair Free Program for new customers to test our products and service for free by paying shipping only. Their continuous success is evidenced by the recent celebration of their 4th anniversary! 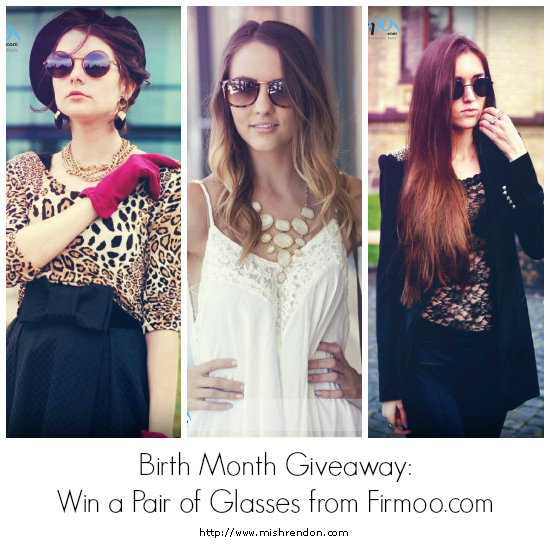 This month, Firmoo is giving away more pairs of glasses from their Classic Series Collection in my blog. Scroll below for more details! Two (2) pairs of free glasses or sunglasses for two lucky winners at http://www.firmoo.com/classic-series.html without shipping if there are less than 50 participants. Two (2) pairs of free glasses or sunglasses for two lucky winners without shipping and one (1) extra pair of totally free prize including shipping to another winner if the giveaway gets more than 50 participants. The giveaway will run from September 6 to September 30.